It’s THAT time already! School starts in less than a month! 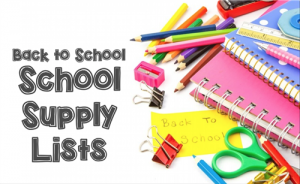 Here are your 2018-2019 School Supply lists!